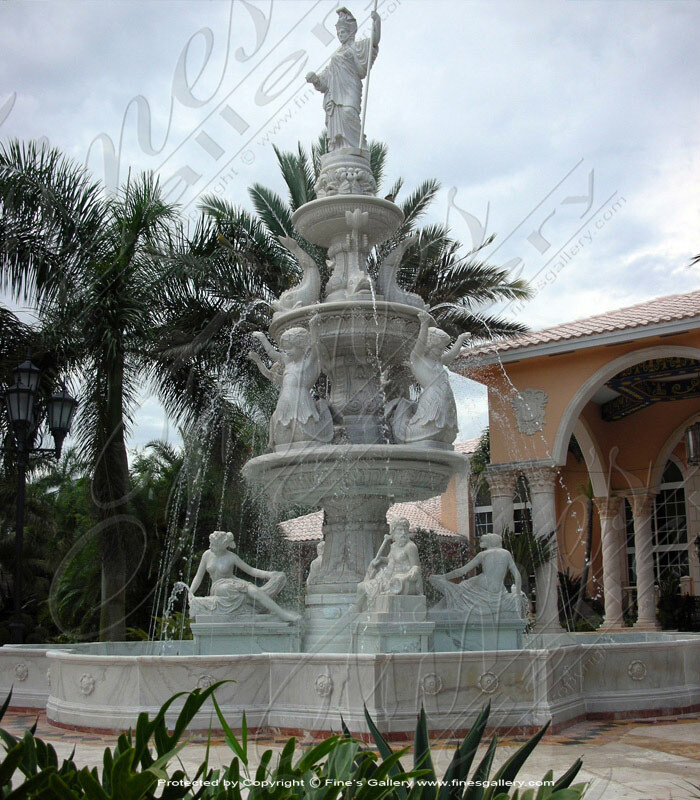 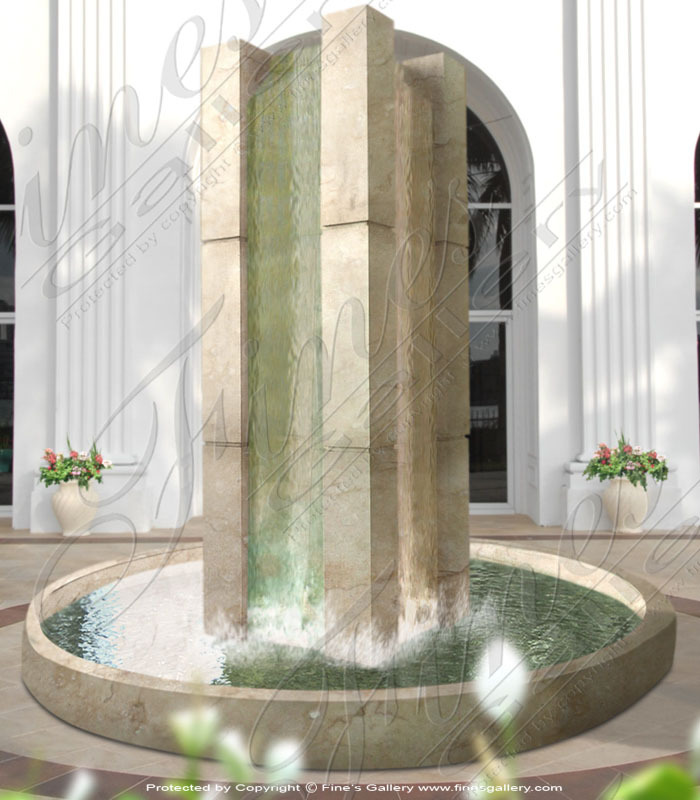 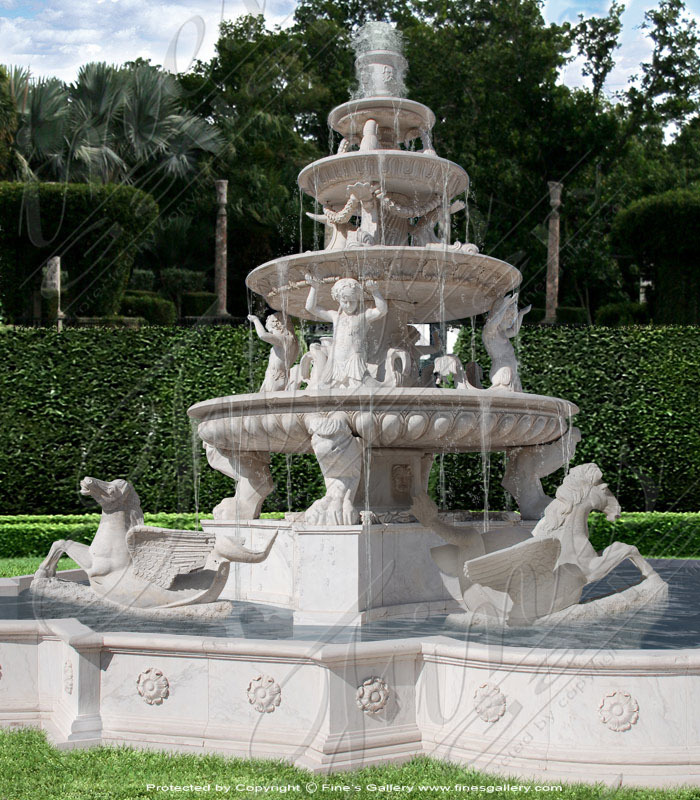 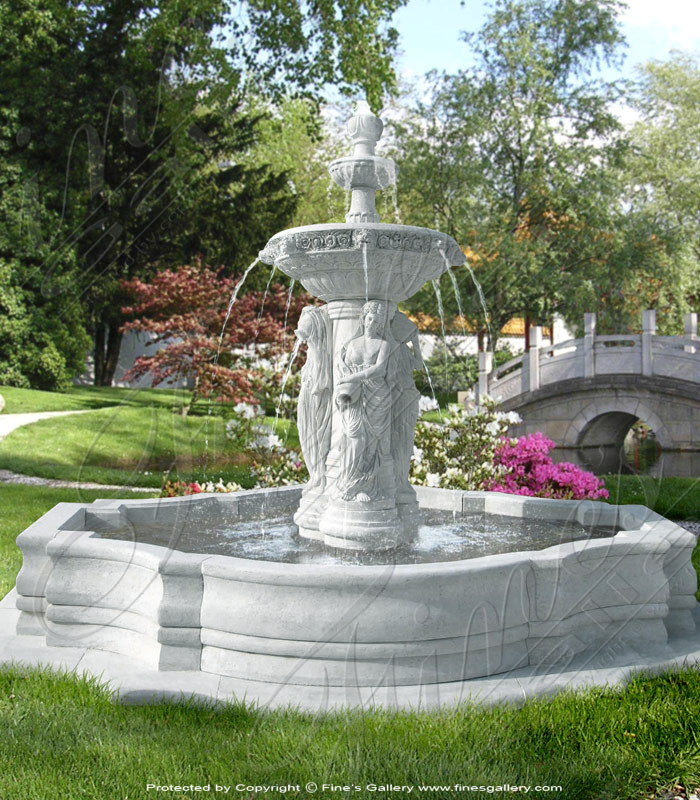 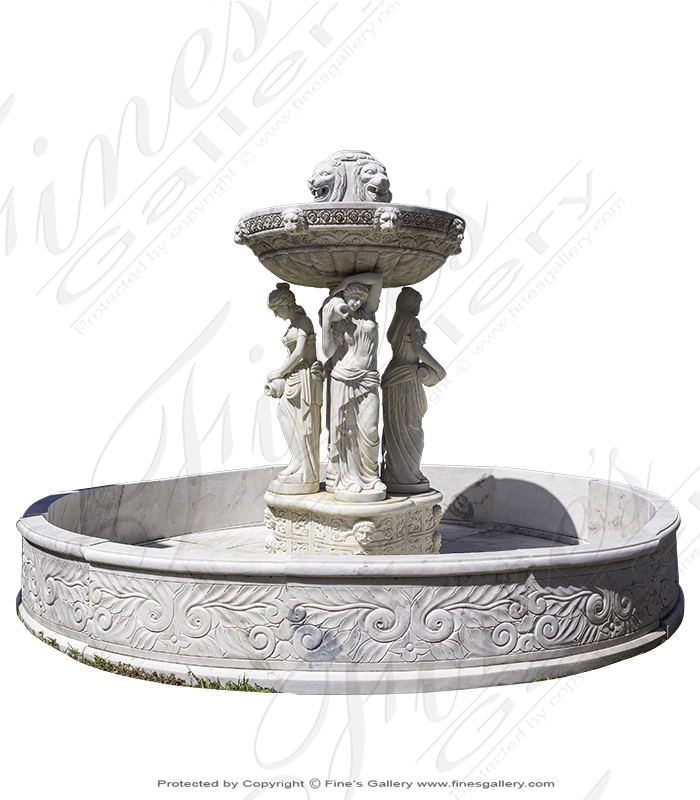 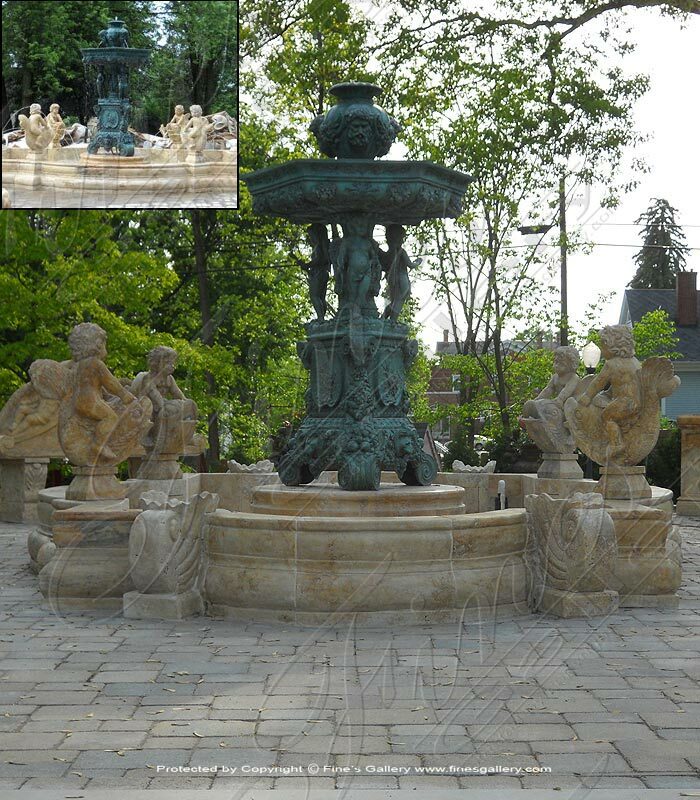 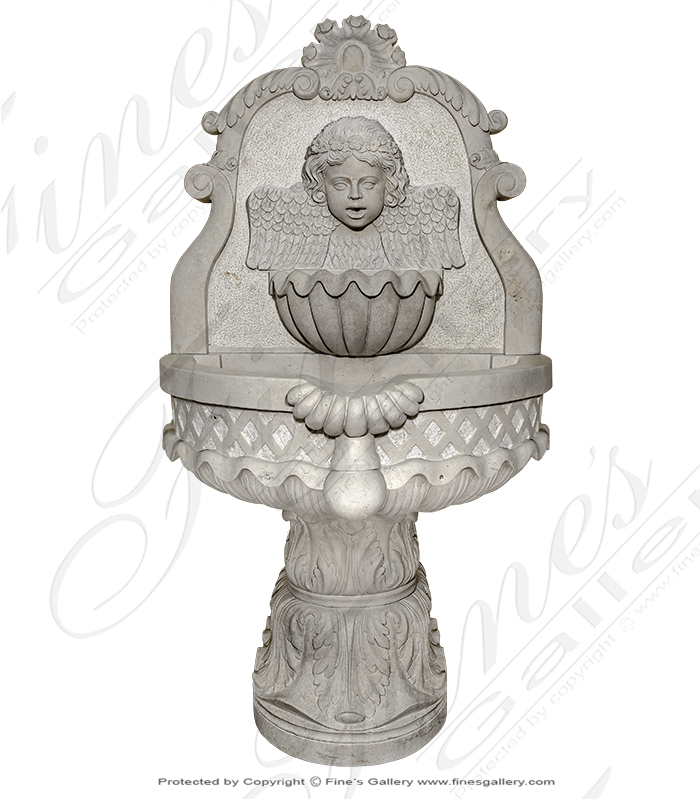 Antique Style Ladies and Lions fountain carved from natural solid antique finished white marble. 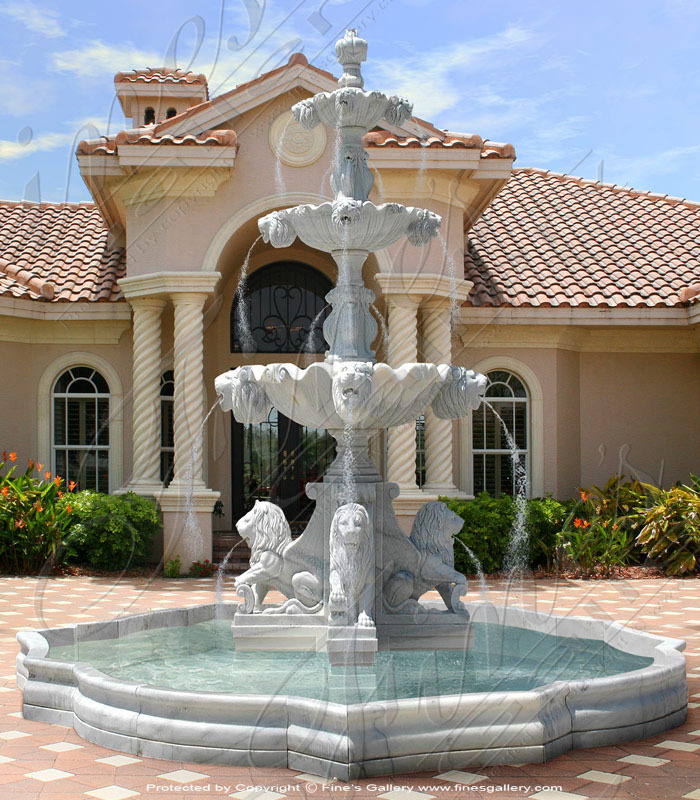 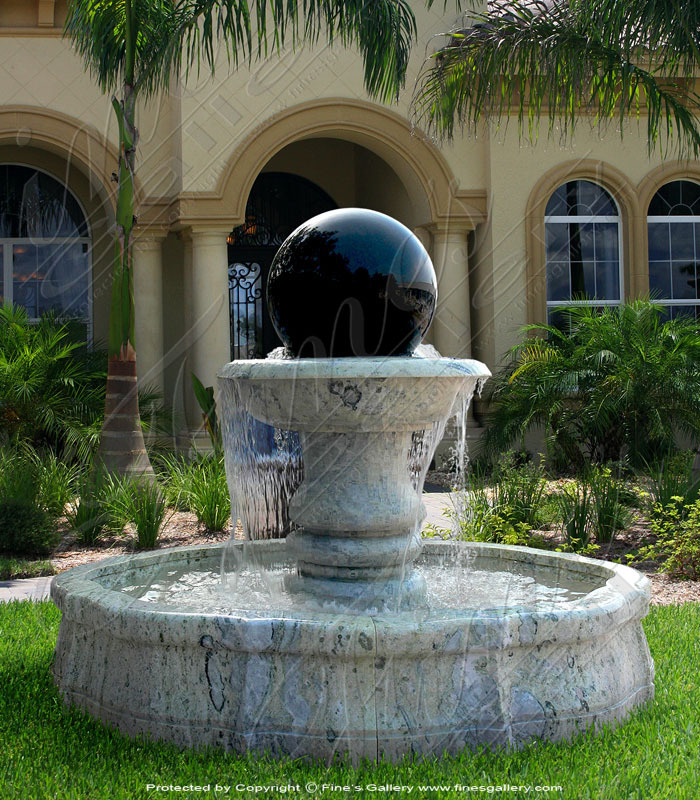 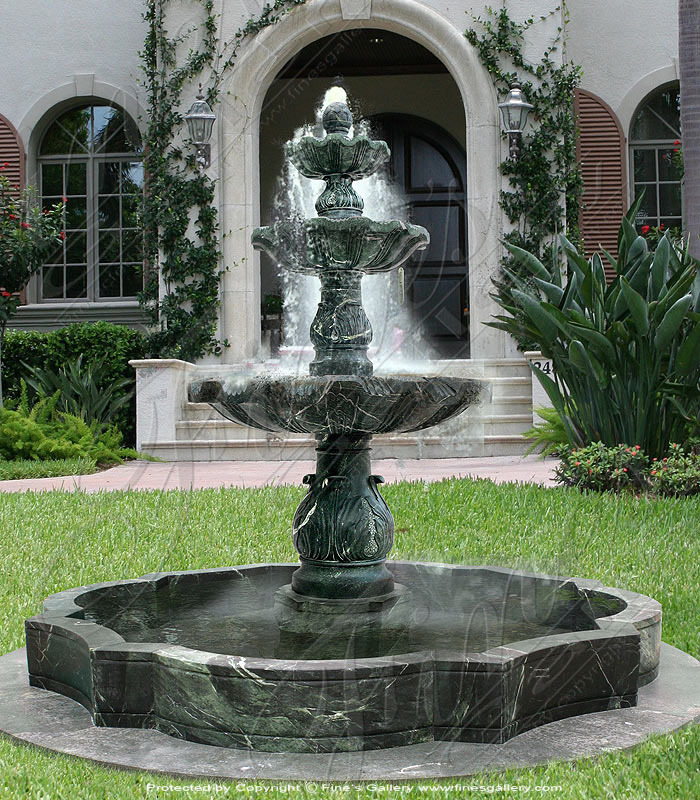 Four Massive lion head spout water into an ornate hand carved marble bowl. 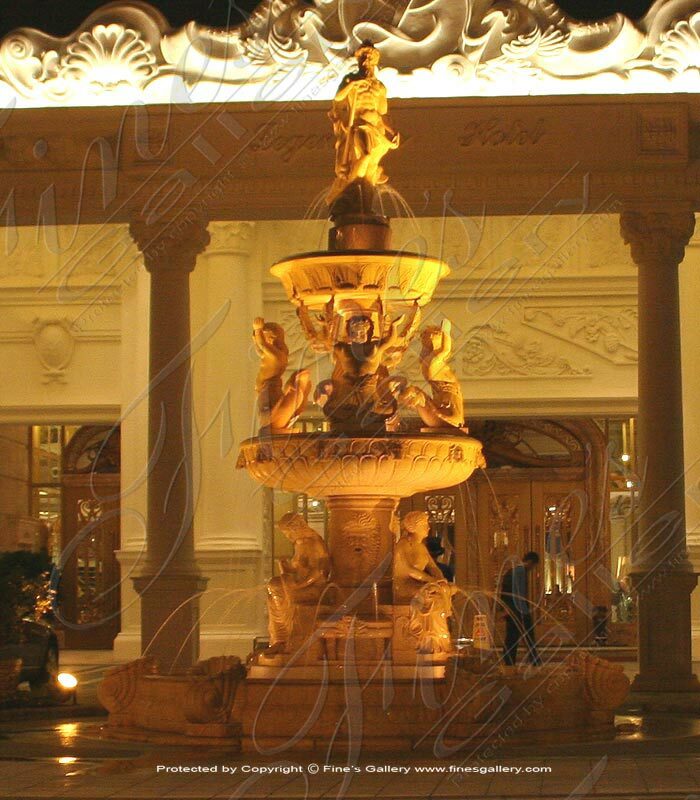 Four seasons ladies with jugs provide a greco roman flair. 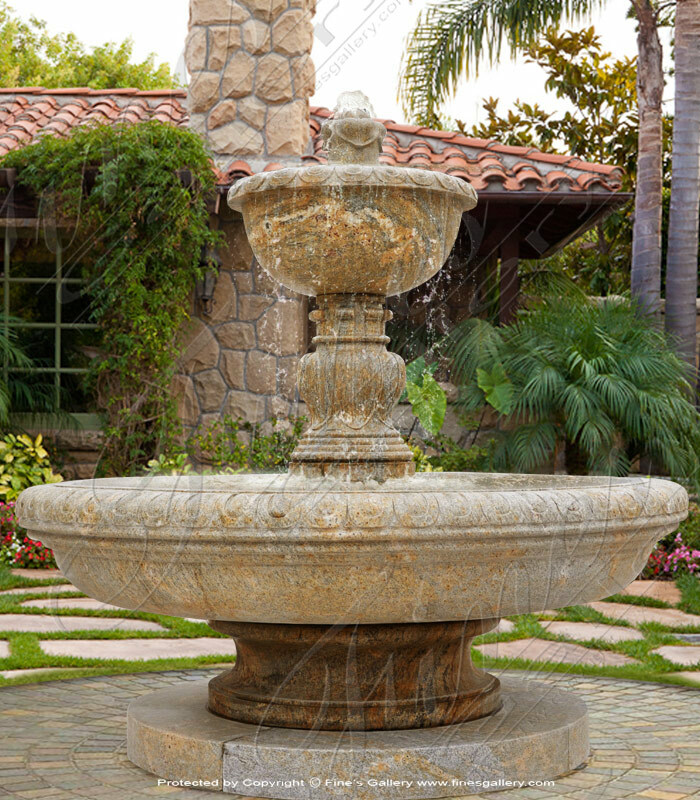 Pool basin included.